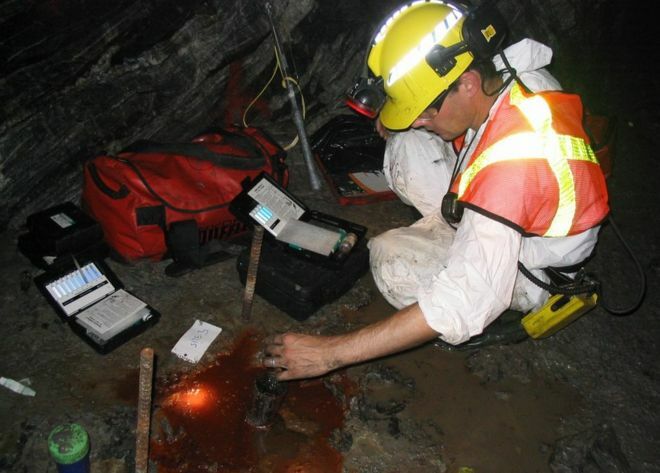 The world’s oldest water, which is locked deep within the Earth’s crust, just got even older. The liquid was discovered deep down in a mine in Canada in 2013 and is about 1.5 billion years old. But now, at the same site, University of Toronto scientists have found a deeper source of water that is at least 500 million years more ancient. The work was presented at the American Geophysical Union Fall Meeting in San Francisco. Professor Barbara Sherwood Lollar, who led the team that made the discovery, told BBC News: “When people think about this water they assume it must be some tiny amount of water trapped within the rock. The first pool of ancient water was discovered 2.4km-down in a copper, zinc and silver mine. “It really pushed back our understanding of how old flowing water could be and so it really drove us to explore further,” said Prof Sherwood Lollar. 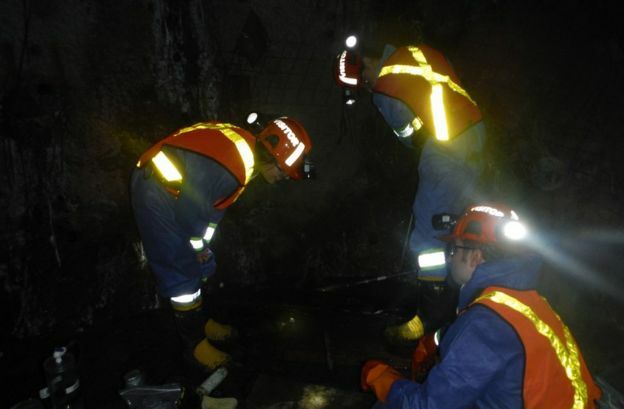 This new investigation led by Dr Oliver Warr, from the University of Toronto, found water at a depth of nearly 3km. And tests have revealed that it is at least two billion years old. The researchers have found chemical traces left behind by tiny single celled organisms that once lived in the fluid. “The microbes that produced this signature couldn’t have done it overnight. This isn’t just a signature of very modern microbiology.